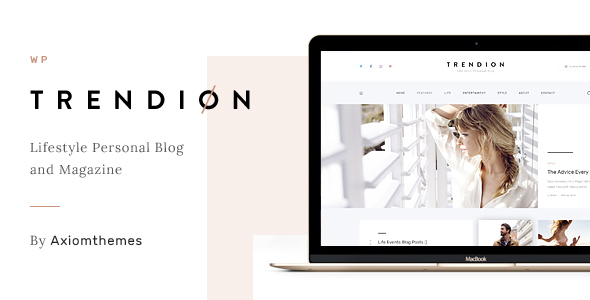 Trendion is WordPress theme with a sleek and modern design for a personal fashion or lifestyle blog, an online journal or a magazine. The theme features handy side menu, Instagram Feed support and full responsiveness. Trendion comes with built-in powerful Visual Composer plugin that allows you customizing all themeâ€™s elements and creating new pages. Jorgen Grotdal â€“ a wonderful graphic artist!